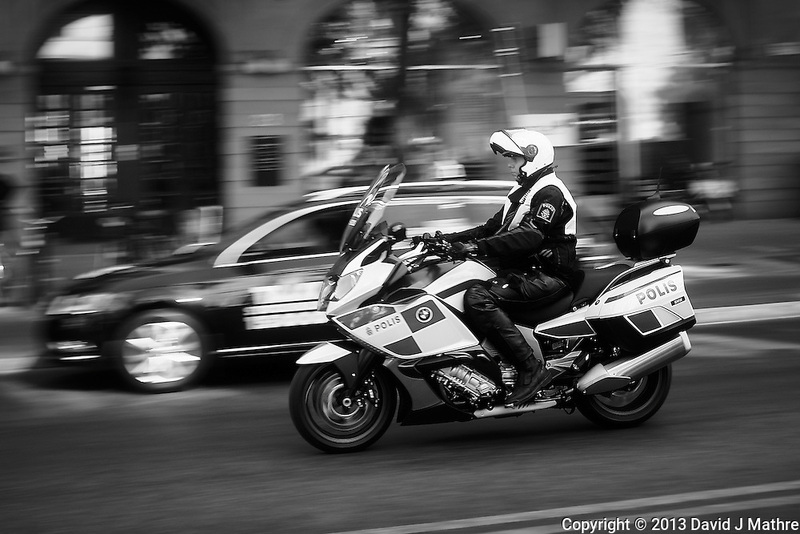 Motorcycle Patrol (Stockholm Polis). Image taken with a Leica X2 camera (ISO 100, 24 mm, f/4.5, 1/100 sec). In camera conversion to B&W. Semester at Sea Spring 2013 Enrichment Voyage.